Engraving plaques has been a way to celebrate an individual’s life for a very long time. Loved ones often use plaques to capture the personality and memory of their deceased relative or friend. Often you will see plaques on park benches, or next to trees which have been dedicated in the memory of a person. This allows family members to attach a little bit of their loved one’s memory to beautiful scenery that they relate with that person. 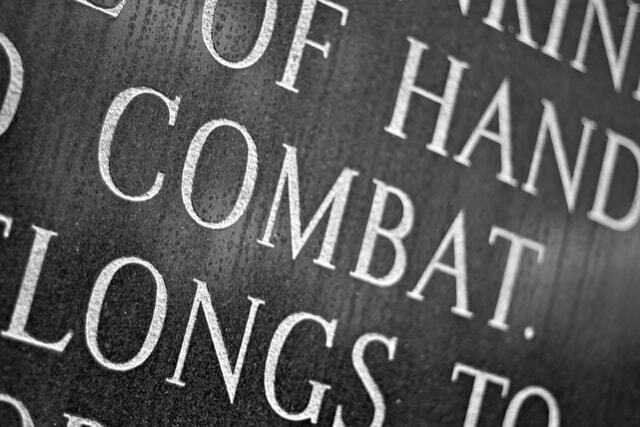 Memorial plaques are also used to celebrate local or national heroes such as soldiers. Whole events such as The Great War can also be celebrated and remembered with a memorial plaque. It is a very powerful, engaging and highly respectful way of making sure an individual’s memory lives on. Memorial plaques should be finished to a high standard. A good engraver will have a selection of different materials such as brass, aluminium, bronze and stainless steel to choose from. If you wanted colour, you could also choose a laminate acrylic. Skilled engravers will be able to deliver any request to an extremely high standard. Any engraving company should hire experienced, passionate and skilled engravers. Any plaque should undergo several tests to ensure that the finish, quality and writing is exceptionally done. Each plaque should pass with flying colours. The plaques are extremely durable and are suitable for outdoor and indoor purposes. The metal materials are suitable for all weather conditions and will remain unharmed for many decades or even centuries. An experienced engraver will be able to reflect your personal style and exact wording in any custom work required. Engravers will use the state-of-the-art equipment and most modern technique. This includes laser machines that are incredibly precise and produce a high-quality finish. More traditional methods can also be used for more specific styles, this would include hand engraving. Hand engraving produces a more rustic finish, whereas the laser technique ensures finer details are produced in more elaborate designs. The complexity and design are up to you, but the method used will rely on what finish and design you would like. For a memorial plaque engraving only a highly skilled and passionate engraver would complete the job. Quality is easier to achieve with a workforce who are respectful and love what they do. Especially with the more traditional methods, dedication and skill is essential. A good engraving company would only hire the best engravers with these qualities. This entry was posted in Able News on 9th August 2018 by admin.